Got built-up sediment inside your narrow-mouthed glass carboy? Luckily there’s a brush designed to reach the bottom and sides of your fermenter. The bent head of the brush makes short work of cleaning the krausen (foam on top of beer) after fermentation. Note: This brush is not recommended for plastic carboys as the metal bristle attachment can scratch the plastic. Dimensions: 26" from end of handle to 90 degree bend. Bristles are approximately 1-1/4"" in length. I like this brush -- the bristles are a little longer than others, and a little stiffer. I never have trouble getting yeast or other dirt off of glass or metal surfaces. Had some stubborn stains which were the reason for buying this brush. There's gotta be a better design as the bristles at the end get pushed back in use in the bottom edge of the carboy exposing the metal wire. Also, it rusted possbily from exposure to vinegar I was using in attempt to dissolve stains. I used to use this to clean my carboys -- the bend would allow me to scrub the top slant of the carboy, with a little finesse applied. I stopped using this because I noticed the metal would sometimes scratch the surface of the plastic, and it never really got all the trub/hops/whatever without a lot of work + rinsing. Now I just use a PBW solution and let it soak. I plug the top of the carboy with a cork and turn it upside down to clean the top (which is usually the toughest part to clean). Works much better that way. I use this brush every time I clean carboys. Works great in getting that hard to get crud of the glass. Great for cleaning my carboys, get's the hard to reach areas. 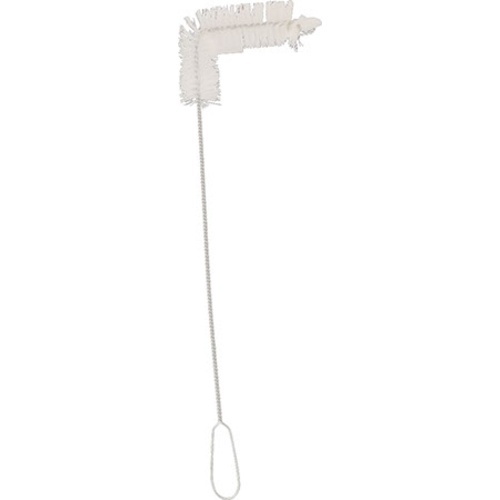 This brush gets to every area of my carboy and makes cleaning easy. 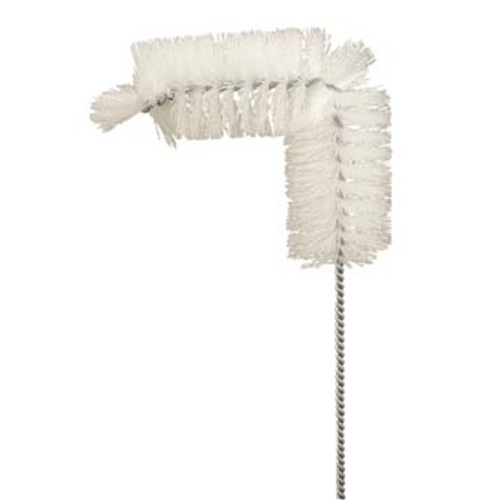 Its a brush, you clean a carboy with it - works great! A quality bottle brush that has cleaned out a good many carboys & it's still holding strong!